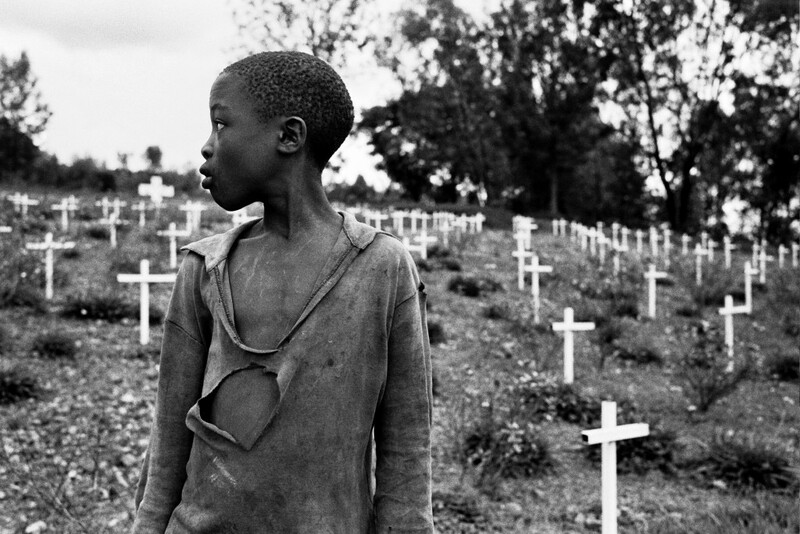 A boy stands in a graveyard of genocide victims in Rwanda. ON THE day when the killings started – April 7, 1994 – Jeane (real name withheld) and her family members were rounded up by armed men and lined up, their faces against a wall. The men then stepped backwards, their guns drawn. Jeane waited for the gunmen to pull the triggers. “I stood there and said to myself, I won’t struggle or let anyone beat me. I told God if you have decided that I die today, let my body be covered. I don’t want my body to be naked and to be eaten by dogs,” she recalls. The house belonged to Jeane’s uncle, who was in the military. Jeane and her family, including a four-day-old baby, were saved, but her neighbours were not so fortunate. “I was still standing there, frozen. I saw these people go to the neighbour’s place. Then I heard gunshots and people screaming inside the house,” Jeane remembers. Her care-giver instinct kicked in. When the men left the scene, she rushed into the house and found a man lying dead on the floor. A bullet had ripped through his neck. When Jeane stepped out of the yard, she saw another group of armed men heading towards the house. She hid behind a tree. From there, she would witness the most horrific event of her life. Jeane remembers a small boy, about five years old, who was playing in the yard, oblivious of the pending horror. “The small boy was trying to play with one of the armed men,” she recalls. Jeane watched as the men rounded up everyone in the house, and made them stand against the wall, including the five-year-old boy. “And then the horror started, right before my eyes. I had diarrhoea and I vomited a lot,” she says. “Everyone was shot dead, including the small boy,” says Jeane, her voice trembling. With the help of her cousin, who was in the army, Jeane escaped to a safe zone. But she would not live there for long as the bloodbath escalated. She had to run. Jeane was 37 when the killings started, and had just returned home from medical studies in Europe. Born of a Hutu father and a Tutsi mother, she was torn in-between ethnically. Her father protected her mother during the 100-day bloodbath, but he was killed in the events following the genocide. “People are always talking about this ethnic group or that ethnic group, but they always forget the people who are in-between and we don’t know where we belong,” she says. Jeane and her husband, and their 12-year-old daughter, fled Rwanda, heading southwards and ended up in Zaire (now Democratic Republic of Congo). In fact, she says many times she had to seek refuge among the dead bodies. “Do you know what it is like to live with dead bodies?” she asks, and waits for an answer. “Do you know how a decomposing body smells?” she insists. At one point, Jeane and her daughter were separated, but they were reunited nine years later. She got pregnant along the way, and delivered twins in the jungle, somewhere in the Congo in 1995. “Delivery is always a miracle,” she says, when asked how she managed to deliver twins in the jungle. When the war broke out in the former Zaire in 1996, Jeane headed east to Tanzania, and eventually entered Zambia. Jeane now lives in rural Zambia, working as a caregiver in a Government hospital. Jeane considers herself both as a victim and a survivor of the genocide. Over 4,000 Rwandans, mostly Hutus, are currently living in Zambia, unwilling to go back home despite the country’s now widely acclaimed advancement. For the past 15 years, Rwanda’s economic growth has averaged between 7.0 percent and 8.0 percent. And this year, the economy is slated to grow by 7.8 percent. Do you ever dream about going back home? I ask Jeane. “No, no,” she responds without even giving much thought to it. “I can’t erase that country from my mind, it is still my country, but I can’t go there,” she says. But even after so many years living and working in Zambia, Jeane cannot be granted citizenship. “I can’t go back, but here also I can’t settle. That feeling of not belonging anywhere is so painful,” she says. Jeane says her husband could not cope with the situation, and he became depressed and alcoholic. He now roams like a mad man, she says. She has had to raise her family alone. Jeane regrets the fact that her children cannot speak her native language, Kinyarwanda. Jeane still mourns about how the international community let them down. She insists on understanding the context of the genocide. By that she means looking at when it started and why. Jeane does not talk of one genocide, but genocides. “I don’t understand why people just look at the 100 days and not what happened beyond that, or what happened before ’94,” she says. Early ethnic-based killings led to the first mass movement of Tutsi as refugees into the immediate neighbouring countries in 1959. Other subsequent killings by the post-independence republics continued through the 1960s, 1970s 1980s, and the 1994 genocide against Tutsi was only a climax. This view is held by many Rwandans living in Zambia. Charles Munyeshyaka was 28 when the killings started. He was a government worker operating on the border with the DRC. When the fighting intensified, with the Rwandan Patriotic Front soldiers advancing, Charles slipped into Zaire, where he lived as a refugee. He later escaped to Tanzania. “Life was hard. We were confined like prisoners, sleeping in the open in a football ground. We usually suffered from diarrhoea because we were given food that we were not used to,” he says. But when the government of Tanzania tried to forcibly repatriate him back to Rwanda, he escaped to Zambia. Charles denies what happened was a genocide. “It was a massacre, not genocide,” he says, and labours to distinguish between the two. He too, like Jeane, has given up any hopes of ever returning to his country again. “I consider Zambia to be my home country, and Rwanda as my second home,” he says. But even in the place he now calls home, he lives in fear, restless as a leaf in the wind. “My family is here now,” he says, indicating to the mobile phone in his hands. He swipes the screen and taps it to show me the picture of his older brother. “He was imprisoned for seven years and tortured. His health has not been okay since he came out,” he says. But she also spoke strongly about what she called “revisionism and denialist propaganda” trying to rewrite the genocide history. “Genocide perpetrators and their accomplices continue to carry out activities related to genocide, denial and revisionism. This is a strategy meant to distort facts of the 1994 genocide against Tutsi,” she said. “This attempt to rewrite the history of the genocide not only haunts the survivors and their families, but also has a very negative effect on the healing process. There is need to deny these culprits the platform for executing this last phase of the genocide,” she said. In 2017, Zambia and Rwanda signed an Extradition Treaty that commits the latter to bring to book any perpetrators of the genocide. In January, Malawi extradited genocide convict Vincent Murekezi to Rwanda. They say time is the best healer, they just didn’t say how long. For many Rwandans like Jeane and Charles, 25 years is not long enough to heal what happened in 100 days. And as the country marked 25 years since the horrific events, it only opened the wounds afresh. “It is like someone scratching your scar and causing it to bleed again,” says Jeane. “The memories are even more painful than the actual pain that you had,” she says. WHEN it was constructed four decades ago, it was the crown jewel of Africa that epitomised the resilience, friendship and ingenuity of three nations – China, Tanzania and Zambia. The Tanzania Zambia Railway (TAZARA), which is owned by Tanzania and Zambia on a 50-50 shareholding basis, was built with a Chinese loan in the 1970s. It connects Zambia to the seaport of Dar es Salaam in Tanzania and also provides road and railway inter-connectivity to other parts of southern Africa, and is a vital link for the three regional groupings of SADC, COMESA and the East African Community. But 43 years down the line, this train has clearly run out of steam, its operations bogged down by a myriad of challenges, including a bad track and locomotives that are constantly breaking down. 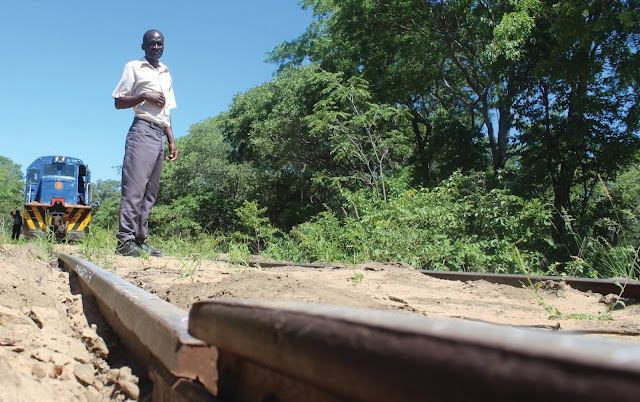 Tazara deputy managing director Timothy Kayani says the future of the rail company is very bright, but he makes it clear the rail firm needs help to avoid going under. He blames the two governments for the company’s current situation. “The only problem is that the two governments relaxed a lot before realising that they needed to take full charge of this company, and this is what has caused Tazara to be where it is now. Otherwise if these two governments were serious enough to supervise Tazara, we couldn’t be where we are,” he says from his office in Dar es Salaam. The current state of Tazara has attracted China, like a vulture to a dying animal. After all, China has always kept its eyes on this railway, now it wants to lay its hands on it. According to Mr Kayani, in 2012, a Chinese company was engaged to do a survey of the railway in order to establish how it could be refurbished. But when the report was done, the two governments took too long to act on it, and a few years later, it was taken back for revision. According to Mr Kayani, the Chinese came with unrealistic demands to the negotiating table. 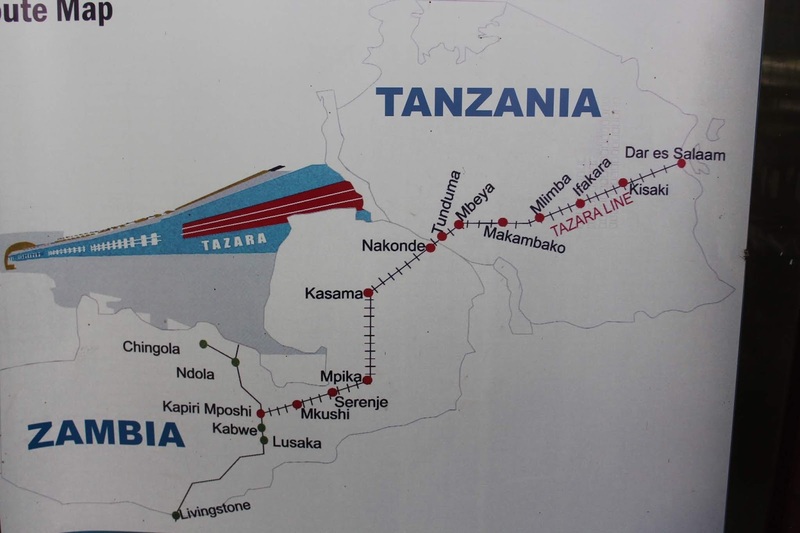 Mr Kayani says the Chinese wanted to run Tazara for 30 years in a concession deal, and be given a buffer zone – 50km of land on either side of the entire Tazara line. That deal was rejected, and the Chinese are yet to come back with a new proposal. Mr Kayani is wary of Chinese deals, and he says they must be avoided. “We don’t necessarily need the Chinese, as long as we have a bankable business plan – the cargo is all over,” he says. But what Tazara needs is recapitalisation to rehabilitate its track, and to get more locomotives running and wagons. Currently the company only has 12 locomotives in operation, 26 less than the required number. In 2017, both the Tanzanian and Zambian governments agreed to inject US$10 million to help Tazara improve its operations. The Tanzanian government has already given the rail company US$4.5 million but the Zambian government is yet to fulfil its pledge. The money is expected to bring to life 10 locomotives. But other than recapitalisation, Mr Kayani says the way forward for the rail company is to repeal the Tazara Act, the law which governs the rail company, so that it conforms to the current business environment. Mainly, he wants the company structure to change, and to give it some flexibility to allow private investment. Clearly, the dual ownership of the company is now a source of problems for Tazara. In the deputy managing director’s office at the rail company’s headquarters in Dar es Salaam, there are two presidential portraits on a wall behind him, and two flags on his desk – one for Tanzania, and the other for Zambia. This dualism is emphasised almost at every level of the company. Back then, it was a way of balancing control of the company, such that, because the headquarters is Tanzania, the CEO of the Tazara is reserved for Zambia. Akashambatwa Mbikusita- Lewanika, who once served as managing director for Tazara, says Tazara’s structure largely compromises decision-making. “Given the kind of hostility over the fact that the MD is Zambian, it means that there is suspicion that the Zambian MD is partial and has to be watched, and controlled. This is something that every MD has experienced and tends to paralyse decision-making,” he says. He says this only tends to raise the consciousness of nationalism. In the end, he says, the CEO’s team is not 100 percent his own, a situation he says challenges decision-making and authority. He says the structure also emphasises the representation of the two countries rather than the representation of the corporation at all levels. “The people go to the board not as board members of one company, but as members of one company representing their own countries and governments,” he says. He says in the past, there was a lot more mixing in the workforce, not just at its headquarters. “But increasingly, the nation-consciousness has become dominant,” he says. He says in essence, Tazara is no longer one rail line from Dar es Salaam to Kapiri, but two rail lines that meet at the border. Mr Mbikusita-Lewanika adds that because the headquarters of Tazara is located in Tanzania, there is more interest from Dodoma than from Lusaka in its operations. He says for a long time there has been an assumption that the Tazara Act favours Zambia. “My proposal is that if the Tazara Act favours Zambia, take the act and wherever it says ‘Zambia, put Tanzania, and wherever it says Tanzania put Zambia,” he says. Of course that would tilt the tables, but would it work? But politics has clearly also had an impact on Tazara. According to Mr Mbikusita-Lewanika, the nature of the relationship between the two governments, especially the heads of state matters. “The first set of heads of state of Nyerere and Kaunda had been engaged with each other in collaboration and solidarity over the independence movement. Their relationship had that base,” he says. Back in the days, this train ran not only on diesel, but was also driven by the Pan-African spirit. That may not be the case now. Africa’s political landscape has changed a lot since the days of colonial oppression, Unilateral Declaration of Independence (UDI) and the Cold War. Even China’s interest in the continent has changed over the years. Mr Mbikusita-Lewanika says one of the biggest problems is that there has never been a sense of ownership from the two nations since 1976 when Tazara was launched by Dr Kaunda and Nyerere. Although both heads of state spoke strongly about the rail line belonging to the two countries, Mr Mbikusita-Lewanika says that those pronouncements were in word only, and were never followed with action. “I feel that from the very beginning, although it was put in word, in practice and mind, that message never materialised,” he says. In the subsequent years, Tazara remained dependent on China. And the two countries were never really committed in repaying the loan, which was supposed to start 10 years after the start of commercial runs on the rail line, in 1986. “Perhaps they took advantage of the fact that those who were owed money were not pushy. I think that is fault-line number one, not taking responsibility and being unable to start making loan repayment even after 10 years of starting the operations,” he says. Instead, Tazara continued receiving loans or protocols from China. According to Mr Mbikusita-Lewanika, the company has received 15 of such loans since 1976, in form of equipment. 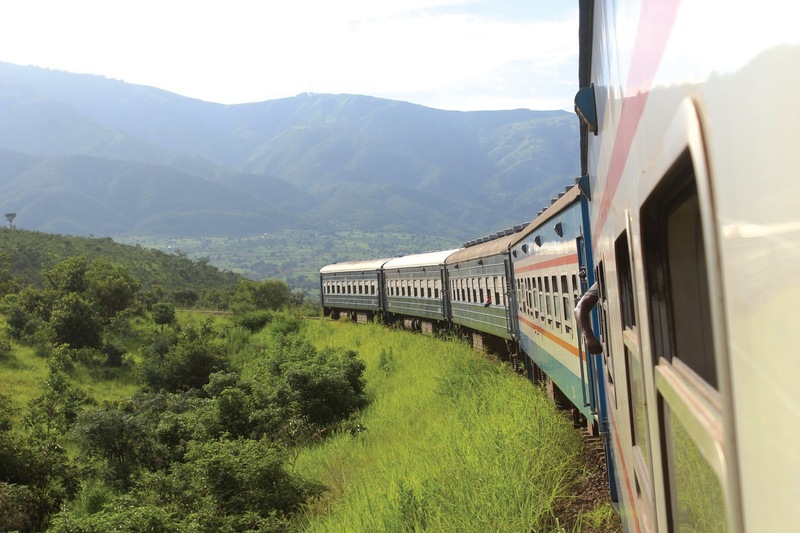 Despite the numerous challenges facing Tazara, the rail business is still viable with a lot of potential for growth. 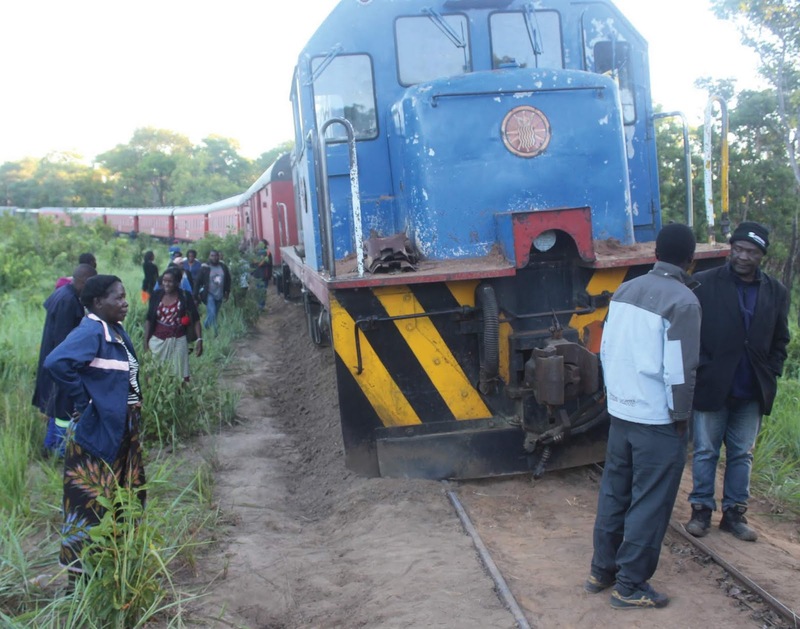 In fact, according to Tazara public relations manager, Conrad Simuchile, the company is failing to satisfy the demand because of its own challenges. About two years, Kenya had bought 280 metric tonnes of maize from Zambia, and it wanted to ship it by rail, but Tazara failed to do it, and so the Kenyan government decided to ship the consignment by road. Even the express passenger train is usually fully booked for weeks, according to Mr Simuchile. “We have limited number of wagons, limited number of coaches and our locomotive are not operating at 100 percent,” he says. Zambia currently has a law that compels mining companies to transport 30 percent of their cargo by rail, but Mr Simuchile says this has not helped the company because it cannot meet the demand. For now, the once glorious train continues plodding into an uncertain future. Anastasia enjoying the train ride. Two rail systems, three trains, two countries, 2,700km of rail and one epic journey. Our reporter Jack Zimba travels by train from Dar es Salaam to Mulobezi and shares his experience and insight into the railway business. 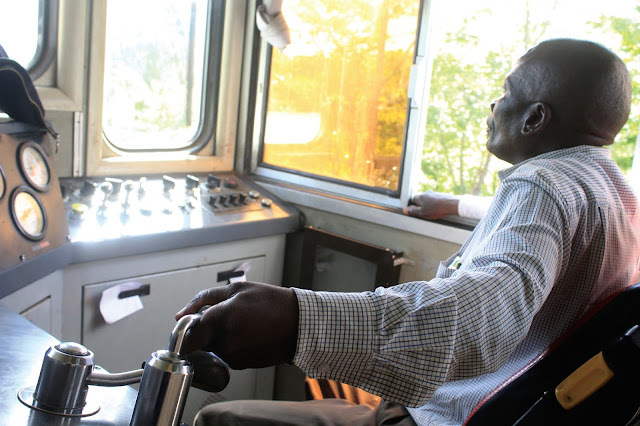 Ardio Mbewe is a veteran at driving locomotives. 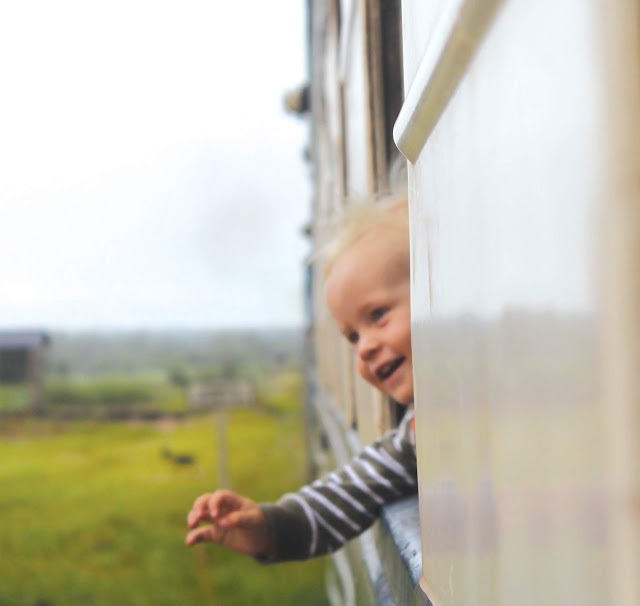 'Malama', the little American boy sticks his head out the window. It is 13:33 hours, and I only have seven minutes to get to the train station and catch my train to Zambia. If I miss it, I will have to wait until Friday to get on the next one. So I rush out of a Western Union office in Kariakoo, a bustling market place in the middle of Dar es Salaam, Tanzania, clutching a small wad of shillings and jump on the nearest motorbike I find. I do not have to explain to the driver my urgency; I guess it’s written all over me. We dash across the city, weaving through heavy lunchtime traffic, and squeezing between lorries and buses. We run through a red traffic light without a care (the motorbikes don’t obey the traffic lights, anyway). The previous day, a fellow journalist living in Dar es Salaam had cautioned me against using the motorbikes because they usually get involved in accidents, but with heavy traffic, they are the quickest means to get around Dar, plus they are much cheaper. But first, how did I end up in this panic mode? It all started back in Nairobi, Kenya, where I had landed early Sunday morning after an overnight flight from Lusaka, to catch a connecting flight to Dar es Salaam. However, my airline, Kenya Airways, barred me from boarding the connecting flight, because I had booked a one-way ticket to Dar es Salaam and my passport was three months from expiring. “I will only be there for two days,” I had tried to reason with a female staff of the airline. She was adamant, so was her supervisor. “The immigration in Tanzania won’t allow you and they will send you back at the airline’s cost,” she told me. The airline gave me two options: to book a return ticket and proceed with my connection, or get on a bus from Nairobi to Dar es Salaam. Both were hard choices, but I chose to go by bus to Arusha and then get on another bus to Dar. But when we arrived at the border with Tanzania – a place called Namanga - more drama awaited me. “Sir, why did you decide to miss the plane in Nairobi?” an immigration officer, a woman with a fancy hairstyle and stern voice, quizzed me after leafing through my passport. I explained my situation at the airport. “Your story sounds ridiculous,” she retorted. “There is no way the airline could have stopped you from boarding the plane. There is something fishy going on here,” she said, making circles with her index finger in the air. She called Kenya Airways in Nairobi, and they denied ever refusing me to board the plane, and according to their records, I boarded the plane. “We have to review CCTV to see how you missed that plane,” said the immigration lady. My case was beginning to sound more serious than I anticipated. With Al Shabaab now a big threat to Kenya’s security, was I now a terror suspect? “And why did you come through Nairobi, are there no direct flights from your country to Dar es Salaam?” continued the immigration lady. “No,” I replied, exasperated by the unfolding ordeal. I was too embarrassed to tell the immigration officer that Zambia does not have a national airline – at least not yet. Soon, my question session had turned into an interrogation. A man went through my IDs and then begun questioning me. He was softer, but he was not buying my story either. By now, the bus driver had lost patience and driven off, leaving me behind. At the next window, I now faced the Tanzanian immigration official. A seeming nice woman, but who had a similar set of questions about my round trip. She sounded doubtful at my answer, but she stamped my passport nevertheless. I was back on the road, heading to Arusha, passing through Masailand. After about two hours, the magnificent Mount Meru came into view, with the city of Arusha lying in its shadow. But Dar was still some 600km away, and buses now take longer to get there following strict speed limits imposed by the Magufuli government. I decided to book a flight from Arusha, fearing road fatigue. The plane, operated by Precision Airline, was scheduled to leave Kilimanjaro International Airport at 21:00 hours, but it did not arrive at the airport until 22:30 hours. There was no apology from the airline. After spending my money to book another flight, I ran out. So that is how I found myself at Western Union in Kariakoo, to pick up extra money from my office in order to embark on my train travel. It is 13:50 hours when we arrive at the TAZARA train station, but just in time to hear the train slowly pulling out, its heavy metal wheels tapping the rails like a military brass band. One man, noticing my misfortune, quickly offers a solution. He rushes me outside the station and calls for a motorbike taxi. A young man called Joseph is willing - for 20,000sh (about K100) - to rush me to the next train stop before the train reaches there. Without hesitation, I hop on his bike and go on a chase. It is a hair-raising ride through traffic. Soon, we get on the outskirts of Dar, and onto a narrow and winding road hugged by lash vegetation. It is an empty road with an occasional motorbike. My fear now is not crushing with other vehicles, but falling off the bike as we negotiate sharp bends and speed over speed humps. After about 30 minutes, we turn into a small dirt road, and then pass through a dambo area. It is clear Joseph has done these kind of chases a number of times before. Soon we burst into a clearing, and right in front of us, the rail line. “You have to run and wait there, because the train will be here anytime,” says Joseph, pointing to a white structure about 300m away. He sounds like a people trafficker. I’m so excited about Joseph’s audacious ride, that I decide to pose for a picture with him before we part. He is my new hero. There are a handful of people waiting at the disused building, which has a missing roof and is overgrown with grass. It is in the middle of nowhere. The only thing that has been spared of the structure is the station’s name written on the wall: Vigama Halt. Later I would see numerous such derelict buildings dotted along the 1,860km railway which runs from Dar es Salaam to Kapiri Mposhi in Zambia’s Central Province. Four decades ago, these structures were built as train stations, but they now look like relics of a civil war era, stark reminders of a once glorious past of the Tazara. It is 14:30 hours, hardly three minutes after reaching Vigama, and I hear the train whistle, and then it appears round the bend. At exactly 14:45 hours, I start my train trip that would end in Mulobezi, Western Province. As I settle down in the train’s restaurant, I reflect on the iconic railway that the Chinese built over 40 years ago. Tazara embodies everything, from sentimentalism, politics and ingenuity, and it must still evoke the same feeling for the people living along it, as it did four decades ago – children and adults alike still wave at it as it passes. And for the enterprising ones, it is one big mobile market for coconut, fresh maize and anything to snack on. The Tazara is still an attraction for tourists. And on my trip, I meet some Germans, Russians, Japanese and Americans. 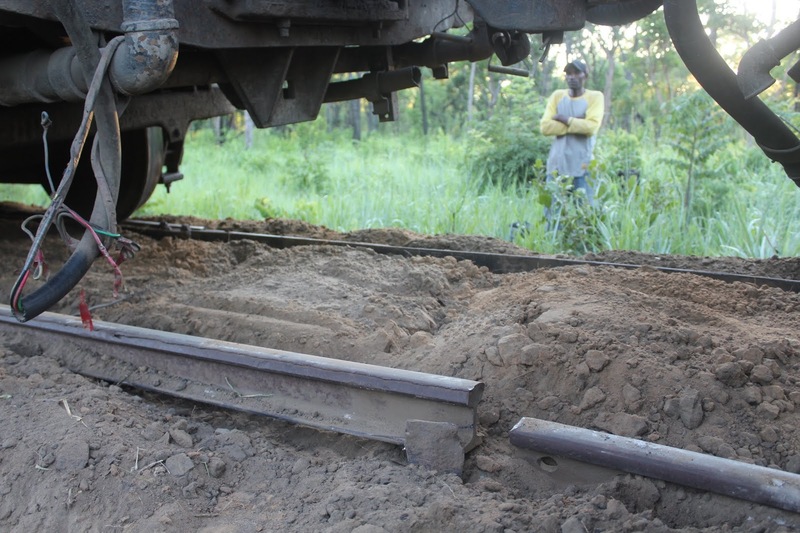 But years of neglect have affected Tazara badly. This train gallops at 40km per hour, slowed down by an old dilapidated track and old wagons. There is a restaurant in one of the coaches that were recently donated by China that serves decent meals, and the coaches have flushable toilets. But I wonder why all the waste goes onto the track. Later after dinner, I retire to my sleeper, and I’m rocked to sleep by the gentle swaying of the train. Today, the train is even slower as we pass through a mountainous region, sometimes the train passes through tunnels burrowed through mountains. 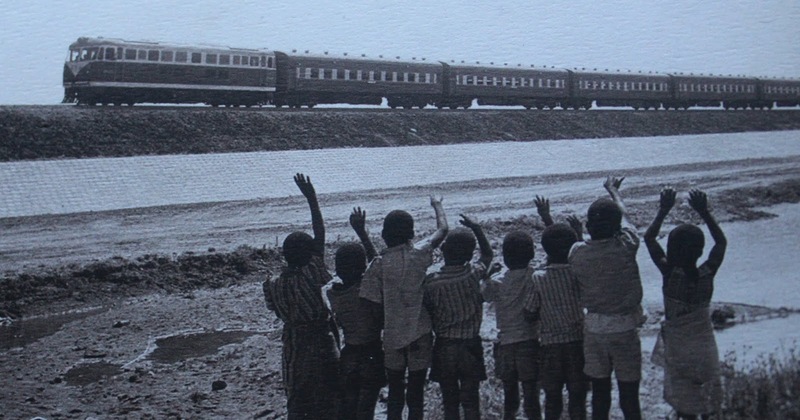 The stretch between Mlimba and Makambako offered the greatest challenge during the construction of this rail line, as it is mountainous, with many streams cutting across its landscape. But it is also the most rewarding to travelers. The rail road snakes between heavenly mountains and passes over beautiful gorges, offering travelers picturesque views. One of those enjoying the beautiful scenery is Anastasia, a young Russian business consultant on tour of the continent for the first time. She is excited because she is now heading to Livingstone, Zambia, to see the Victoria Falls. We chat about Vladimir Putin and China, and animals. “Do you like Putin?” I ask her. “Yes, but I think he has over-stayed,” she says bluntly. Anastasia makes it clear she is not happy with China’s advancement across the continent. The young Russian is a real tree-hugger, who is reading a book about how plants respond to emotion (of all things). Later, I meet Godfrey John, who once worked for Tazara, but is now retired. He reminisces about the good old days of Tazara. “This train used to run very fast and on time, but now it is very slow,” he tells me. When we reach Makambako, the retired rail worker abandons the train and decides to jump on a vehicle instead. Evening has fallen when we reach Mbeya, and the train makes a long stop. On the platform, speakers are blasting some soothing Caribbean music. At 20:30 hours, we start off from Mbeya. By now the train has spewed most of the passengers and resembles a ghost train, with its narrow eerie passages in the first and second class coaches, plus the creaking sounds and swaying doors adding to the creepiness. Mbeya lies about 200km from the border at Tunduma. We arrive at the border at 00:45 hours and proceed around 02:00 hours. On the Zambian side, the rhythm of the train has changed from a single beat to a heavy metal orchestra, and the shaking is like a continuous tremor. Sleeping is hard, as I’m constantly jerked out of sleep. Somehow I manage to steal some sleep, but I’m woken early by the incessant cries of a baby in the next compartment. “Paapuuu, paapuuu, paapuuu,” demands a boy called Malama. Of course there is nothing unusual about little Malama crying for his mother in that fashion, if only he were not a white American toddler. Yes, Malama is an American boy, about two years old, whose parents run an NGO that champions girls’ education in Kasama. Both his parents speak fluent Bemba and are now teaching it their son. Wide awake, I stare outside at the rising sun. By now the romance of train travel has waned, and claustrophobia has set in. I now sit like a prisoner in my compartment. Besides, the landscape on the Zambian side is less remarkable. The rail line sticks close to human settlements, passing through towns and villages. We arrive at Kasama at 09:12 hours, and pick up more passengers. At Mpika I decide to ride on the locomotive, instead, just to satisfy my fantasy. Ardio Mbewe is sitting at the controls. He is a retired veteran who was brought back to work because of his experience. Back in 1973, Ardio was a construction worker building this railway, now he drives on it. Years back, he used to drive at 80km per hour, but now he can’t. Soon I decide sitting in the locomotive and watching parallel lines slowly coming and passing under the train is boring. The controls look boring too, just nobs, levers and switches. In the evening, on my way to my compartment, I meet a woman in the passage who looks frantic. She is scratching her wig and patting her body as if she has lost something. “Where are we?” the woman asks me. “Between Mpika and Serenje,” I tell her. I’m perplexed by the woman’s questioning, and so I call in a cop to attend to her. The woman’s name is Catherine. She boarded the train at Mpika. With some sort of spiritual counseling and questioning, Catherine regains her compass and is back to her normal self. Stuff happens on the train. As night falls, I retire to my compartment and dose off. But I can hardly sleep because the train shakes a lot. It is 03:45 hours, Friday 15, February, when we finally arrive at Kapiri. Spending 62 hours on the train has had a toll on me, but I have some hours to recover a bit before I jump on the Zambia Railways train to Livingstone, a distance of 656km. The train, named after former President Michael Chilufya Sata, is scheduled to arrive from Kitwe at midnight – if all goes well. But this train does not run on time, it only runs on diesel. And more drama awaited me on the Mulobezi train. A mangled rail road under the train. A man works on a damaged rail before the train could continue its journey. A twisted rail after the derailment. A damaged rail stops our journey. On the trek after the derailment. The train comes off the rails. IT IS almost midnight, Friday 17 February, and I join a horde of passengers at the Zambia Railways station in Kapiri Mposhi. The Michael Chilufya Sata Express is late, very late, and some passengers, tired of waiting, sleep on the hard concrete floor. This train carries mainly poor people who cannot afford the bus fair, and others are business people who trade in goats and other merchandise. There is no communication from officials from the rail company about the delay, and there is no complaint from the passengers either. It is 03:30 hours, Saturday 16, when I hear a whistle in the distance. It is a wake-up call to the sleeping passengers, who hurriedly gather their belongings and stand by the rail line. The train is finally here. I’m relieved when I settle down in an empty compartment in the first class. I’m also happy to find a power source, at least I can keep my gadgets alive throughout my journey. Other than that, the coaches are old and battered, and the train is sluggish. It takes us two hours to cover a distance of 50km from Kapiri to Kabwe. Here we wait for about two hours for another locomotive as the one pulling our coaches has developed a fault. We arrive in Lusaka at 13:20 hours. Although this train moves at 40km per hour, the ride between Lusaka and Livingstone offers a rough ride, the coaches sway like a pendulum. It is 08:36 hours and I order some tea in the train’s restaurant, but the swaying of the coaches makes it hard to bring the cup to the mouth without spilling, the same reason why it is hard to use the onboard toilet. At exactly 12:12 hours, the train comes to a stop at the station in Livingstone. I have to wait till Tuesday, then jump on the Mulobezi train, which is also operated by Zambia Railways Limited. It is 09:12 hours, and the Mulobezi train slowly pulls out of the station and heads westwards to Mulobezi. It is the last leg of my epic rail trip. This rail line, built in the 1920s, was a private logging railway, but when the logging business went down, Government through Zambia Railways Limited took up the rail system to continue providing a service to the people of Mulobezi. Today, it is the most reliable mode of transport, but that reliability is in frequency only and not in efficiency or convenience. At least twice a week, this train travels between Livingstone and Mulobezi, in Western Province. 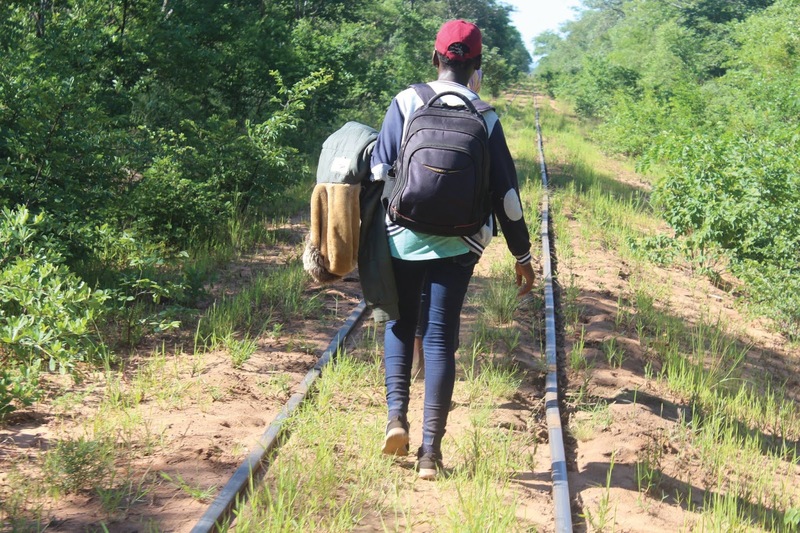 The railway covers a distance of 162km between Livingstone and Mulobezi, but it is also the most treacherous part of my rail trip. You know what time the Mulobezi train leaves the station, but you never know when it arrives at its destination. And travelling at 10km per hour, the Mulobezi train ought to be the slowest train in the world. And why does it travel so slowly? The rail line is old and rusty, with slippers that were made in 1927 – at least according to the date on them. The train wobbles and the rail line creaks under tonnes upon tonnes of metals. Even under my weight, the rail line shakes. 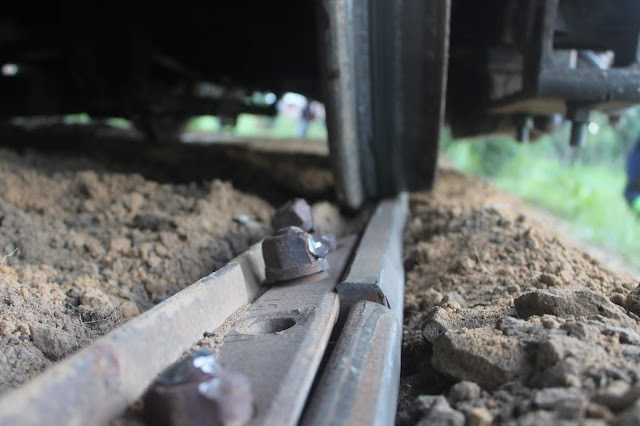 The rail line lies on a sand bed and its rusty slippers are completely buried under sand. In many parts, the railway is covered with grass, and shrubs have grown too close to it, so close that one can pluck tree leaves as the train moves. A battered U15C locomotive made by General Electric is pulling the coaches and wagons through the forested area. The first class coach is hooked between the locomotive and the restaurant, so one moment I’m getting the smell of fried chicken, the next, the smell of diesel, or a mixture of both. Cooking in the kitchen is done on open fire – two big braziers and a gas stove. The train stops at several stations, but it also stops many times to allow the crew to carry out some repairs on the rail line before we can pass. When we make our third of repair-and-go stops, it is dusk and a full moon is rising on the horizon. This time, the repairs are major. A whole section of rail has to be replaced, not with a new one, but with another rusty piece the crew had picked earlier along the way. A diesel-powered grinding machine is brought to cut the piece of rail to the right length before fitting it. The men then jack one section of the rail line and push a rusty slipper under it, before shoveling some earth to act as ballast. For the passengers, it is time to stretch, smoke or answer the call of nature in the surrounding bush. Once the men finish the repairs, the train slowly and gingerly passes over the repaired section. We would have numerous such stops before reaching Mulobezi. I count five before falling asleep. The locals living near the rail line tie plastics to polls and stick them on the rail line, it is a warning sign to the locomotive drivers that that section of the rail is too damaged for the train to pass. But the drivers themselves have to stay alert and look out for any rail that may have come out of place. At exactly 03:00 hours, the train comes to a stop at Mulobezi. I had spent six nights on two different trains and covered about 2,700km of rail across two countries, and met many different people. I wake up early this morning to find a flurry of activity outside the train. 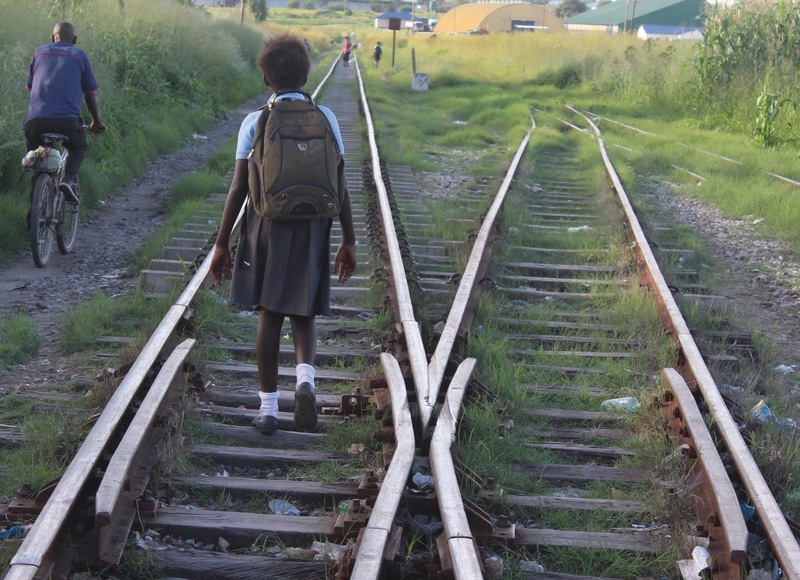 Despite it being in such a bad state, life in Mulobezi revolves around the train. The train is scheduled to make the return trip later in the day, and cargo now includes goats, pigs and chickens. After getting the bad news that I cannot find a vehicle to travel back to Livingstone, I stay on the train. It is a huge sacrifice, as I would later discover. We start off around midday, picking up loads of bags of charcoal and more goats along the way. There are no stop-and-repair stop on our way back, but the train seems to be moving even slower. When night falls, I retire to my compartment and fall asleep, hoping to wake up in Livingstone. But around 02:00 hours, it finally happens, it had to happen. It is the most inevitable thing on this railway – a derailment. I’m deep in sleep when the train comes off the rails, and I do not notice something is wrong until 05:30 hours when I awake. The locomotive had come off the rails while entering a bend, and its heavy steel wheels now rested in the sand, over mangled rails. Because the train moves slowly, there are no injuries and no damage to the train itself. The incident happens 36km from Livingstone, at a place that has no phone network. However, the train driver had managed to walk a few kilometres to find a phone signal and send the SOS. But there is no guarantee help will be here any time soon. Other passengers, accustomed to these incidences, are already preparing for a long wait. A woman is collecting small sticks and she later makes a fire. “I just want to boil water to drink,” she tells me. Some of the passengers, however, decide to walk to the next station 20km away, which lies near to the road, then get on vehicles to Livingstone. At 07:00 hours, I, too, decide to abandon the train. My train travel ended more less the way it had started – in the middle of nowhere. 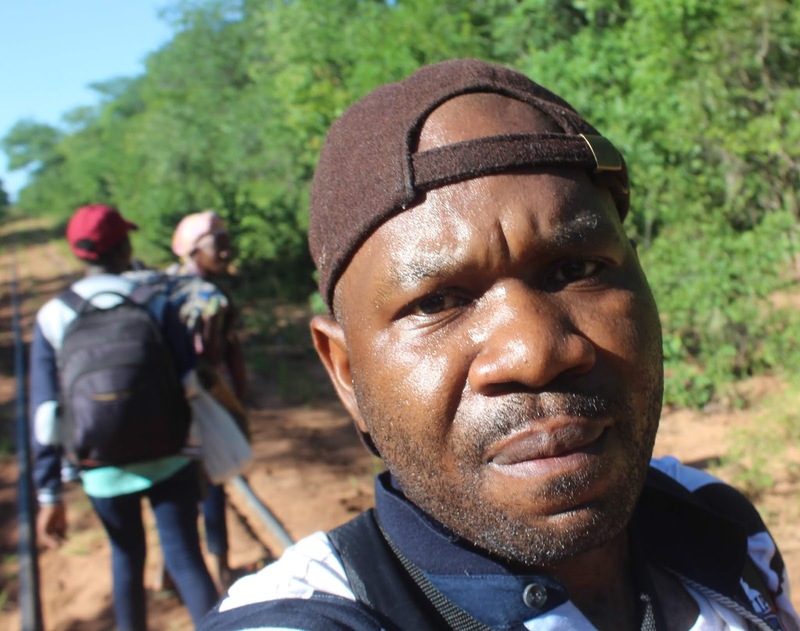 I join three women – a young teacher called Felicia, and Beauty Samulela who is traveling with her niece named Namatama Nkhoma, and begin the hike through the woods. Felicia curses the Mulobezi train. It is one reason she wants to leave the rural district. Recently married, she lives apart from her husband, who works at a government health facility in Chingola on the Copperbelt. Felicia only travels about once in three months to Livingstone to replenish her supplies in order to avoid the train. The teachers are given one week leave every month to travel to Livingstone to go and get their salaries and do their shopping. By mid-day, the sun is punishing and adding to our exhaustion, and the soft sand is making walking even harder. I can now smell the sun on my skin. After about 10km of walking, Namatama or Tama, as her aunt calls her, needs to rest. She is shaking and panting. “She has a heart problem,” explains Beauty. She hands Tama a bowl of sour milk with a little sugar. Tama is a determined girl who recently graduated from secondary school with good grades. She now wants to become a doctor. I pep-talk her about her dream, just to keep her spirits high. When she recovers, we continue our trek. After walking 18km, we can now hear the sound of vehicles. It is the most delightful sound. It is 12:25 hours when our walking party finally reaches the roadside. I’m as tired as a dog, and my body is drenched in sweat, but quite relieved to have made it. Could this be the oldest man alive?